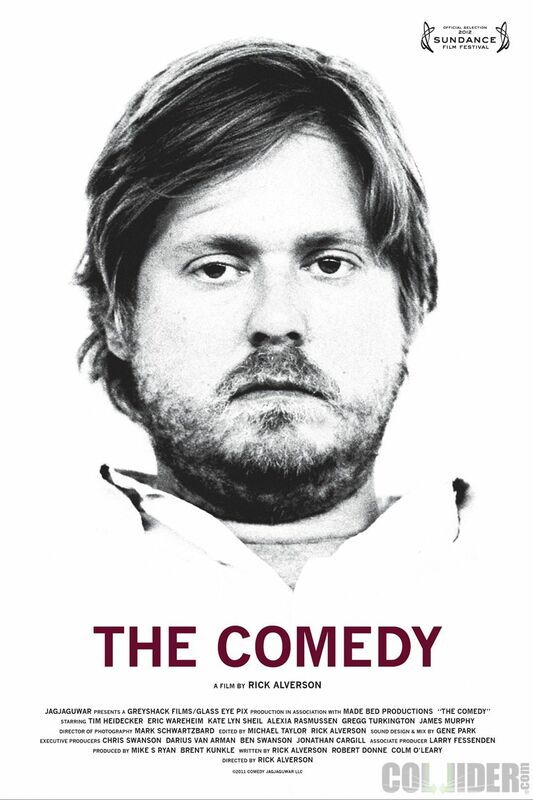 We’ve been sent the exclusive poster for The Comedy starring Tim Heidecker and Eric Wareheim. The film will play at this year’s Sundance Film Festival. For those unfamiliar with the movie, here’s the logline: “Indifferent even to the prospects of inheriting his father’s estate, Swanson whiles away his days with a group of aging Brooklyn hipsters, engaging in small acts of recreational cruelty and pacified boredom.” Ah, recreational cruelty: the very best kind of cruelty. Rick Alverson directed and co-wrote the film with Robert Donne and Colm O’Leary. The Comedy will be one the Sundance 2012 movies starring Heidecker and Wareheim; the other is Tim and Eric’s Billion Dollar Movie. Hit the jump to check out the poster. The 2012 Sundance Film Festival runs from January 19 – 29th.